We have been taking baseball pretty serious lately within our little family here in Panamá. All three of our boys (Ethan, Ezra & Eli) have had to wait a long time to do the “normal” things that kids their ages do in the States and Bianca and I had decided enough is enough. So, in July when we got back to Panama from our furlough, we signed them up for Baseball. First time ever! As it turns out, we learned that we were just 3 miles from one of the most competitive youth baseball schools in all of Panamá. To be frank, it has been awesome and the timing couldn’t have been better. The boys are growing leaps and bounds and in addition to sports, it has become a humungous cultural connection for all of us. We all feel like we’ve been seeing blessing after blessing as a result of this decision and we thank the Lord for that. One of those unexpected blessings occurred about 3 weeks ago and it came from Venezuela. Ethan and I were at one of his practices that day and I noticed that a new coach showed up to help but I had never met him. He was a big guy, like 6’ 5”, 260 lbs. type of big. It caught my attention because I’m usually one of the few guys over 6 feet tall in the crowd and he was way bigger than that. I introduced myself and discovered that he was one of the many Venezuelans that has recently come to Panama in search of critical economic help for his family in Venezuela. (More on that later) He told me his name was John and his expertise was baseball and specifically batting. In fact, they called him “Bam-Bam” (yes like the Flintstones) because he was apparently known for crushing baseballs. He had played in Cananda, Venezuela and a bunch of other Latin American countries as well. Now his formal player days we nearing an end and he really wanted to coach. I had noticed he’d been working with Ethan intentionally and it just warmed my heart. So after practice I asked him if he’d come over and do some more coaching with all three of my boys. I had no idea how important that move would become. That night he came over and after dinner started working right away with our boys on batting drills. What impressed me most was the way he shared batting tips but he had an equal focus on motivating my boys to believe in themselves, dream and be confident. I could see it affecting their attitudes, especially Ethan our oldest. Day after day Bam-Bam kept coming back and working with the boy’s and every time I saw the same thing. One night I felt the clear tug from the Lord to give him a Bible and talk to him directly about Jesus. On our way home that night I couldn’t get the words of one of my former pastors out of my head. It was something that my Senior pastor had said to me on my first day as the new Youth Pastor at the Bible Chapel in Pittsburgh years before. Pastor Ron Moore had taken me and the other new youth pastor, Dan Basile out for a drive around the community to show us where all the important places were. He showed us the schools, the parks, the places that kids hung out and during that drive he gave us the scoop on the youth culture there. It was priceless information and I know he was just sharing it because he wanted to help us reach as many youth for Christ as possible. When the drive was over, we ended up back at the church parking lot and as he was turning the car off. I remember him saying something that has stayed with me ever since. He said, guys “never forget that when you have a child, you hold the heart of a parent in your hand.” It was a powerful statement and it was as true then as it is now; though I didn’t understand the gravity of it until many years later. It’s interesting how having your own kids gives you a fuller perspective. That final night, watching Bam-Bam working with my boys with such intentionality and care, those words came rushing back to my head once again! Working with my boys, this stranger from Venezuela was holding my heart in his very hands. There really is no price for the love that people show to your children. In fact, I believe that one of the best ways to love people is to choose to love the things they love and there are not many things that I love more than my kids! I was so grateful for his work with my boys and I knew that the Lord was telling me to love his kid “Bam-Bam” the same way. Immediately after I explained this, Bam-Bam decided right there in my car that he wanted to pray and put his faith and trust in Jesus for his salvation. The timing was fortunate because he found out just 2 days after that he had to fly back to Venezuela. Even though his visit was short, Bam-Bams’ impact on my family was long-lasting and his place in God’s family is eternal. We’re forever grateful for all that God did in His own amazing way and for that we praise Him. Please remember to keep Bam-Bam (John) in your prayers. He is a young Christian and he is living in a very difficult environment. He is recently married and has a baby boy that just turned 1. 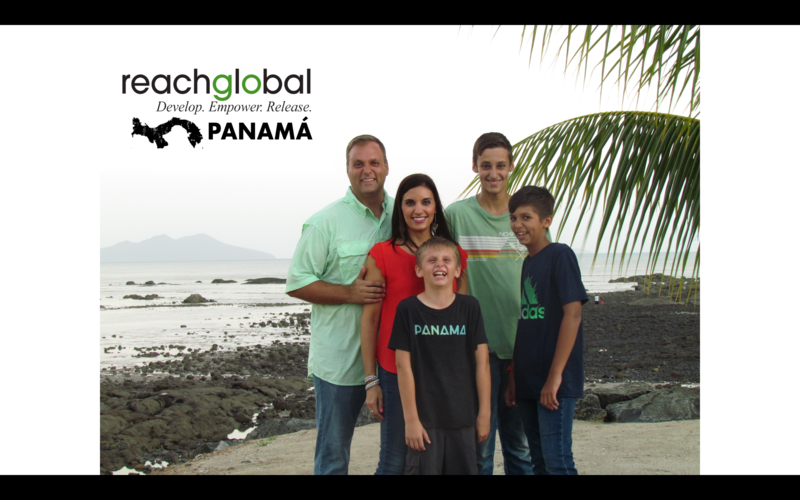 He hopes to return to Panama to find work very soon and if he does we hope to have a chance to encourage him even more towards the Lord. His country, Venezuela is in shambles. Perhaps you have been aware of some of the difficulties that are happening there largely because of the oppressive government and Dictator Nicholas Maduro. Please keep on praying for Venezuela. The situation is desperate and we meet more Venezuelans every day here in Panama desperately seeking work to help their families that couldn’t leave the country. Though we weren’t looking for that blessing we are thankful for how the Lord works. We are amazed at how God even uses broken economies, dysfunctional governments and dictators to move people around and accomplish his will. I guess that’s why they call it redemption. It sure is a blessing when God puts people in your life to love but even more when they love and care for your own kids. And just like when people love our kids, every time we love God’s kids, I know it’s like holding God’s heart too. Please pray for Bam-Bam and his family in Venezuela. If you want to help them specifically please contact me. Please pray for all of Venezuela too because it is a very hard place to live right now. Many people are suffering though God is redeeming all the brokenness like he does. We are so thankful we got to meet this young man and we give God thanks for that. This warms MY parent Heart, Jon! Love to All ya’ll Fowlers!